New Delhi, Feb 1: “You are just your intelligence” the statement by Kalpana Chawla is a torchlight for many aspiring Indian women and girls around the world. Today nation respectfully bows in the memories of Kalpana Chawla. The first woman astronaut of Indian origin, on her death anniversary. From politicians to the commoners, from students to celebs, everybody proudly remembered the achievement of this inspirational idol of the world of space. 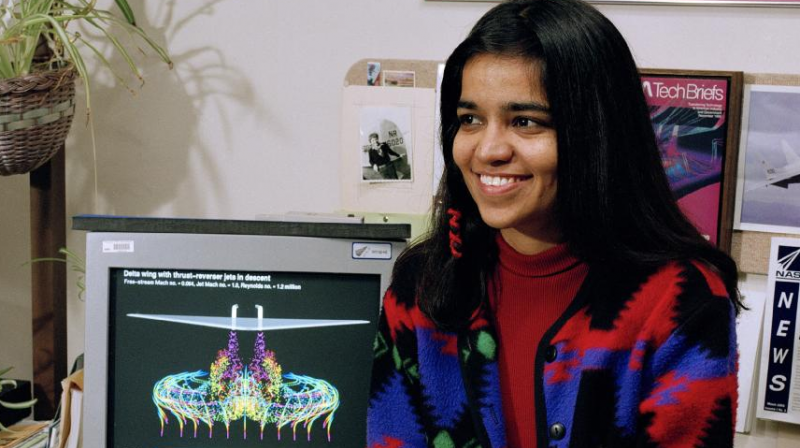 Kalpana Chawla is born on 17 March 1962 in Karnal, Haryana. As a child, Kalpana always liked to draw pictures of airplanes. her family always called her "Monto" with love. After getting a Bachelor of Engineering degree in Aeronautica Engineering from Punjab Engineering College. During a mathematics class, Kalpana’s teacher was explaining the concept of the null set (empty set in algebra). To give an example, she said that a set of Indian women astronauts was a classic example of the null set as till date no Indian woman had become an astronaut. To everybody’s surprise, Kalpana quipped, “Who knows, Ma’am, one day this set may not be empty. Chawla was an enthusiastic hiker, back-packer and reader. She held a Certificated Flight Instructor's license with airplane and glider ratings, Commercial Pilot's licenses for single- and multi-engine land and seaplanes, and Gliders, and instrument rating for airplanes. After this, she moved to the USA in 1982 and obtained a Master of Science degree in Aerospace Engineering from the University of Texas at Arlington in 1984. After these, she acquired 2nd Masters and Ph.D.
She began working at the NASA Ames Research Center in 1988, where she did Computational fluid dynamics (CFD) research on Vertical/Short Takeoff and Landing concepts. Her first mission began on November 17, 1997, as part of the six-astronaut crew that flew the Space Shuttle Columbia flight STS-87. She spoke the following words while traveling in the weightlessness of space, "You are just your intelligence." On her first mission, Chawla traveled over 10.4 million miles in 252 orbits of the earth, logging more than 372 hours (15 Days and 12 Hours) in space. Space Shuttle Columbia launched on January 16, 2003, following STS-113. On February 1, 2003, the Space Shuttle Columbia disintegrated over Texas and Louisiana as it re-entered Earth's atmosphere, killing all seven crew members, which included Indian-born astronaut Kalpana Chawla. Columbia exploded a mere sixteen minutes before landing on Earth. The spacecraft was on its 28th mission, and the sudden accident was caused by a damaged aluminum heat-insulating tile on the left wing of the shuttle. For her remembrance, 74th Street in Jackson Heights, Queens, New York City has been renamed "Kalpana Chawla Way" in her honor. The Kalpana Chawla Award was instituted by the Government of Karnataka in 2004 to recognize young women scientists.NASA has dedicated a supercomputer to Chawla. On February 5, 2003, the Prime Minister of India announced that the meteorological series of satellites, MetSat, was to be renamed "Kalpana". The first satellite of the series, "MetSat-1", launched by India on September 12, 2002, was renamed "Kalpana-1". Novelist Peter David named a Shuttlecraft, the Chawla, after the astronaut in his 2007 Star Strek novel, Star Trek: The Next Generation: Before Dishonor.